Were you hacked last year? Statistics say the answer is probably yes. More than 60 percent of American corporations surveyed reported data breaches during 2015. In many instances, a firewall was their only defense. In today’s threat landscape, defending your network with an unmanaged firewall is like living in a dangerous neighborhood with one flimsy lock on the door. You need a security partner who knows the neighborhood. You need SLPowers. 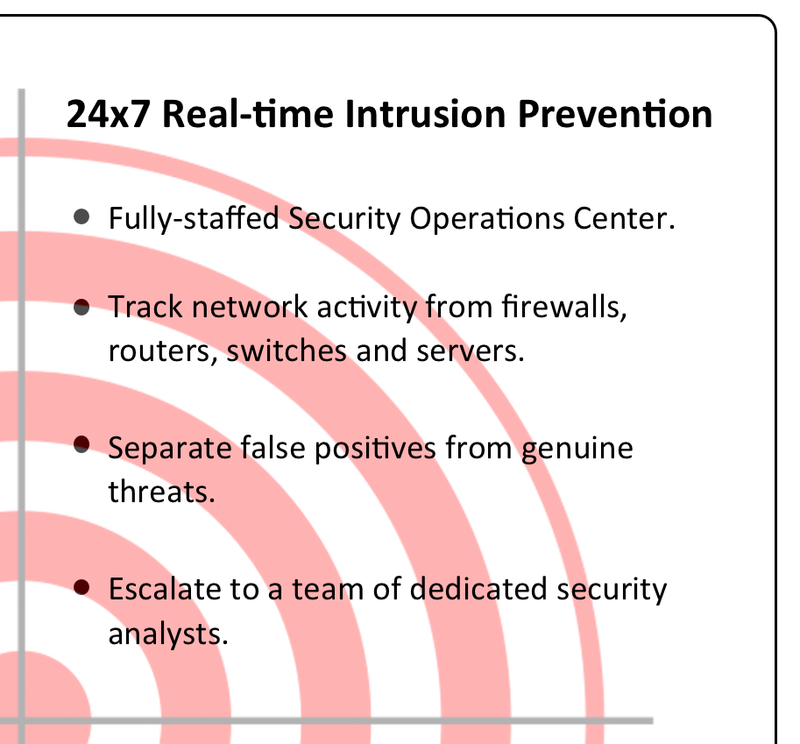 Our 24x7 Security Operations Center can detect and protect against suspicious network activity in real time. We pull log, performance, and configuration data from your network's firewalls, routers, switches and servers, and process them through our comprehensive knowledge base and rule sets. Any event or combination of events seen as potentially suspicious triggers an alert. A team of cyber security experts in our Security Operations Center analyzes those alerts, to separate false positives from those that represent genuine malicious activity. If you've authorized us to do so, we'll escalate immediately to one of our senior security engineers to intervene. Guaranteed Networks–Secure is the most comprehensive approach to safeguarding your information in the industry. Contact SLPowers today for fully-staffed 24x7 intrusion prevention, and a cost-effective multi-layered approach to protecting your business’ valuable information.